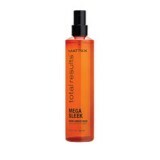 Control rebellious hair for up to 5X smoother* results with your sleeking secret. *When using the system of Shampoo, Conditioner and Serum vs. non-conditioning shampoo. 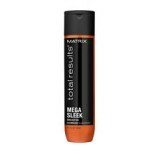 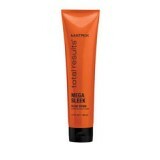 Matrix Total Results Mega Sleek Shampoo with smoothing Shea butter helps control rebellious, unru..
Matrix Total Results Mega Sleek Conditioner with smoothing Shea butter helps control rebellious, ..
Matrix Total Results Mega Sleek Blow Down Leave-in Cream with smoothing shea butter provides heat..
Matrix Total Results Mega Sleek Iron Smoother helps protects against high heat damage and humidit..